The NBA and MeiGray are proud to offer fans and collectors across the globe the opportunity to own a piece of history... a jersey worn in a game during the 2018-19 National Basketball Association regular season, by #2 Joe Ingles of the Utah Jazz. 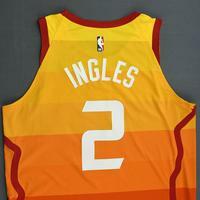 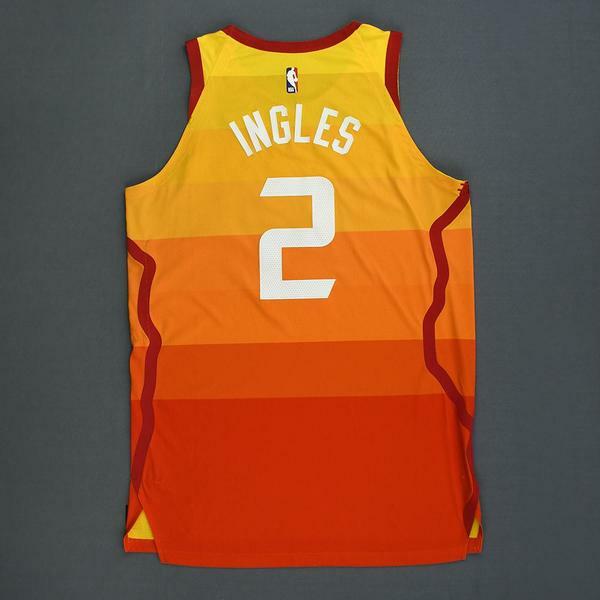 Ingles wore this jersey during the 1st half of the Jazz's 123-115 victory over the Boston Celtics on November 9, 2018 at Vivint Smart Home Arena in Salt Lake City, UT. 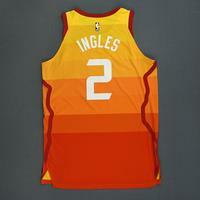 He played 35 minutes and registered a game-high 27 points with 7 assists, 5 rebounds, 1 steal and 1 blocked shot. 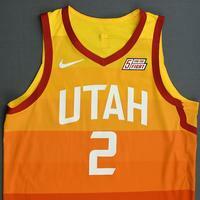 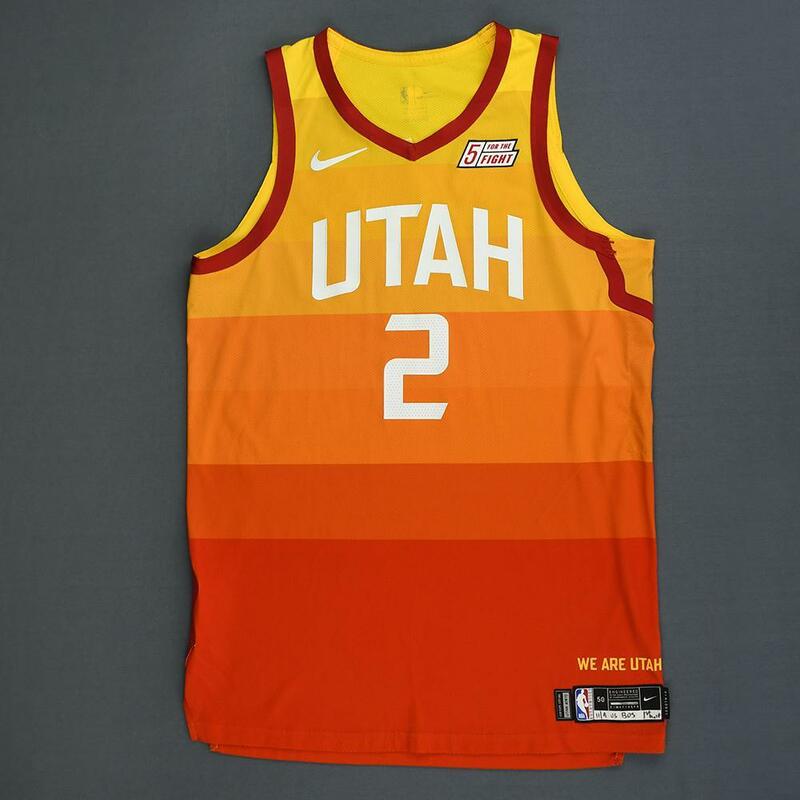 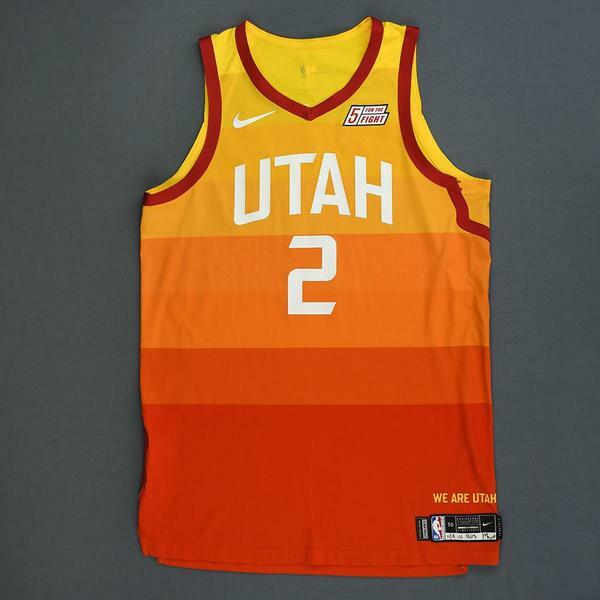 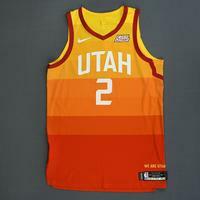 This was the first game that Utah wore its new City Edition jerseys. This red jersey, a Size 50+4 inches extra length, is registered into the NBA and MeiGray Game-Worn Jersey Authentication Program as number UTAW02070. 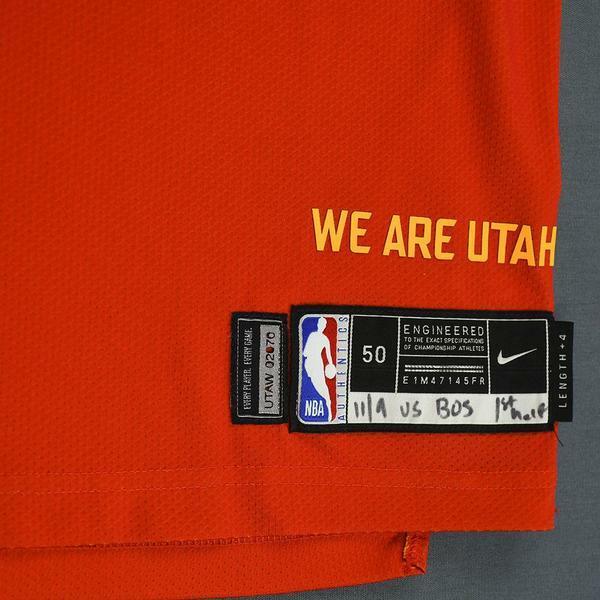 "11/9 vs. BOS 1st half" is handwritten on the jock tag.